This post is part of the awesome I Love Austen Week hosted over at Hamlette’s Soliloquy! Hi everyone! Today I am finally back with a new review. I have actually been able to read quite a bit in this new year. But wow, I have been behind on reviews from the beginning of this year. Between birthdays and pregnancy and life, I can’t seem to catch up! Also, I am kind of obsessed with the new Victoria series on Masterpiece PBS and you should all check it out. Seriously, it’s amazing! This week, I am determined to at least make a dent in those reviews. I’m starting with Dear Mr. Knightley by Katherine Reay which both delighted and surprised me. The title is what first drew me to this book. I mean, a book that references Jane Austen in the title: what’s not to love?! But this novel is so much more than just a clever title. I read it quickly, in just a few days. It felt great to be engrossed in a story again. Now that I have read one book by Reay, I am clamoring to read all her books! Reay writes about food and small details so beautifully. This was a perfect first book for me post-first-trimester. It was easy to get into, the characters are easy to connect with, and it has intense emotions throughout. I love the epistolary form (written in letters) of this novel. I have raved about the epistolary form before here on greenish bookshelf (most notably in this review of The Guernsey Literary and Potato Peel Pie Society). I think more books should be written in letters. It offers such a unique look at the events of novels and gives us an in depth look inside the head and heart of characters. Sam happens to write great letters that bring Mr. Knightley and readers of the novel into the heart of her experiences. We feel her excitement and fear at the opportunity to study at Northwestern. We connect with her pain and strength as we learn about her past. And we cheer for her as she makes her way towards love and family. Sam is easy to connect with. I was rooting for her from the first letter. But what surprised me is how difficult her life has been. I think it is impressive that Reay creates a protagonist that is relatable and likable but also has a pretty extreme background. I haven’t read many books with main characters like Sam. Just about nothing in Sam’s life seems like my life. If anything, those differences made me more grateful for my blessed life and more invested in reading about Sam. But I found myself connecting with Sam’s experiences as a college student, her desires to move forward in her life, and her nerdy love of all things Austen. I wanted her to succeed. I wanted her to find happiness, love and family. The genre of this novel is intriguing. It is not strictly a romance, although there are plenty of romantic elements in it. And I enjoyed those elements. If I had to define the genre of this book, I would probably call it a coming-of-age story or a realistic fiction novel. I am certainly a fan of Christian and historical romance novels. And this book does offer some beautiful potential in the romance department. But it’s certainly not the focus. While we all hold our breath as Sam gets to know Alex, it’s refreshing to see them build a friendship rather than just a romantic attachment. And my favorite relationship in the novel wasn’t even romantic–it was the relationship Sam forges with the Meurs. What surprised me most about the novel is the depth of the themes explored within its pages. I must admit that some even made me uncomfortable–because I am not usually one to read about them. I did not expect to encounter the intensity of such themes as child abuse, foster parenting, alcoholism, physical abuse, and emotional trauma. I think it’s important to know that these themes are in this novel. If you are unprepared for a novel that discusses such deep issues, I would not read this book. But if you feel prepared for the intensity and emotion of these themes, this novel is well worth the effort. Easily, my favorite parts of the novel are the Jane Austen references and general literary nerdiness of the novel. This is a book I want to write–full of fantastic literary tropes and quotes from some of my favorite novels. I loved feeling like I was part of an insider club as I caught the different references to Austen books or immediately identified the speaker of a particular quote. I am impressed by how seamlessly Reay incorporates Austen into her own story. 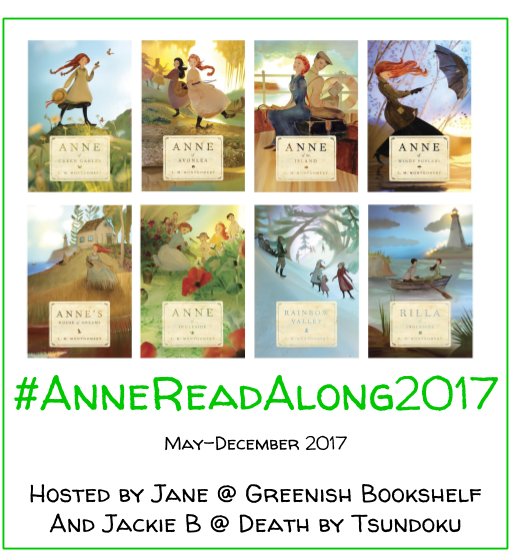 While Austen, Charlotte Bronte, Dickens, and others certainly play a big role in Sam’s story, they add to the story that Reay has already created. Overall, a fun and emotional novel that will leave both Austen fans and Austen newbies satisfied and ready for more from this author. Highly recommend this one! Have you read any of Katherine Reay’s books? Cool! I hear only good things about Lizzy and Jane and A Portrait of Emily Price. I actually just finished The Bronte Plot. I really enjoyed the literary nerdiness of it. And I need to read more Bronte novels because of it 🙂 Thanks for stopping by! I quite love this book too — I’m fond of epistolary novels (The Guernsey Literary APPPS is one of my favorite books), and I love how this is somewhat a retelling of Daddy-Long-Legs, but also very much its own story as well. 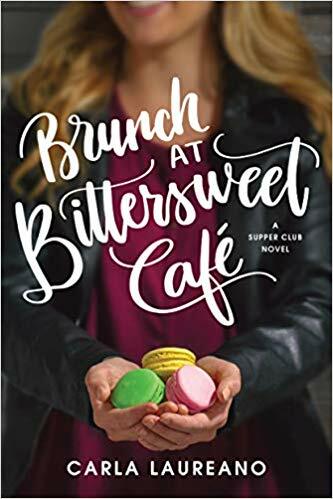 I’ve read all of Reay’s novels over the past year, and this one and A Portrait of Emily Price are definitely my favorites, but I did enjoy The Bronte Plot and Lizzy and Jane too — when you get to a stage in pregnancy where you love food, give the latter a try, as it is allllll about food. I feel just the same about Guernsey and epistolary novels. And I just finished The Bronte Plot–I love the nerdy literary tours involved 🙂 Yeah, I will have to wait on Lizzy and Jane. I don’t want to ruin it with strange pregnancy feelings about food. And I only hear good things about Emily Price. I need to check that one out! I would totally take any of those literary tours. Some day, I’m going to go to Britain and go on something like that and not care that everyone knows I’m a nerdy tourist!